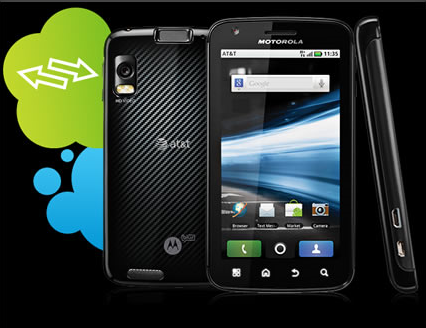 Here is the complete guide for the Motorola Atrix 4G users those who want to root gingerbread 2.3.6 in their device. Before start to proceed, strictly follow the given below procedure. And also in the given below instructions we have given so many quotes do not type those quotes, after each command hit enter. Be mindful of spaces. You can simply copy the each command and paste into the command prompt. If you encounter any errors after entering a command, just ignore and keep going (just assume you entered the command properly). 1. First, download and install the 7zip. If they are not already installed on your PC, then download and install the Atrix drivers for windows. 2. After that, download the attached files. Create a new folder on your hard drive named “Android” (c:\Android). Extract both attached zip files to this folder (all the files need to be in “Android”, not in a sub folder). 3. On your phone Go to Settings>Applications>Development then tick USB debugging. 1. First, attach your phone to the PC via USB and reboot your phone while holding the volume down until you see fastboot. 2. Then press the volume up to initiate fastboot. 7. Wait for phone to reboot. 15. On your Motorola Atrix phone go to your apps and make sure the Superuser icon is there. Open the app, Go to Settings then update the SU binary. 16. Open a terminal emulator, then type “su” and hit enter. You should see “#” if you are rooted. Or, download Root Checker from the Play Store.